So Hayden Panettiere bought her dress for the Golden Globes instead of borrowing from a designer. That sounds pretty innocent, right? Well, the “problem” is that Mr. Ford only dresses one celeb per awards show, and on Sunday that was Naomi Watts. But didn’t she look gorgeous? Who the F cares if wore the same designer? Didn’t it used to be wearing the same dress as someone else to an event was the faux pas—now it’s the same designer? Ugh, too much. This, I just think, is a fashion journalist going too far. No, he didn’t say anything that was outright offensive (such as calling her fat or ugly). But…was he being respectful? No. Just the opposite. Not to mention, rude. What he did wasn’t fashion journalism and it certainly wasn’t a thoughtful critique. It was judgemental, at best. 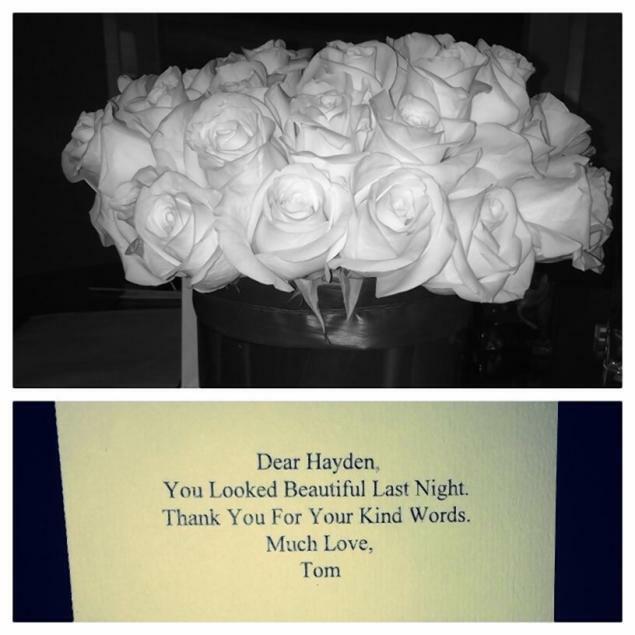 But no worries, Tom was all class about it, sending her a bouquet of roses and a note.